TINY BEVERAGE COMPANY BEATS THE ODDS: An Inspirational Success Story, and a Company You Can Bank On! Watching a small business succeed, especially when it’s led by a man with a dream of helping others and a great product, is extremely gratifying. And it’s even better when my followers profit handsomely after I alert them to the company – it’s basically a gift that keeps on giving. It seems like it was just yesterday that I published my initial coverage on Koios Beverage Corp. (CSE: KBEV; OTC: KBEVF), when it was a small functional beverage company with a market cap of just $10 million and the shares were trading for CAD$0.20. The shares are still grossly undervalued, but a fresh press release has ensured that they won’t be a small company for much longer. Every beverage maker dreams of getting a call from a big retailer, and this dream has become a reality for Koios and CEO Chris Miller – not once, but twice. Purchase agreements from GNC and Walmart have ensured that Koios’ beverage sales will go full-tilt vertical, and the company’s just-released Q1 2019 sales numbers prove that it’s already happening. The numbers show just how amazing 2019 has already been: during the first quarter, Koios added an additional 4,000 retail locations carrying its products across the United States. Purchase orders for Koios products from February 1 through March 13 totaled more than CAD$734,876, and that doesn’t even include their robust online revenues through Amazon and the Koios Website. On top of all that, estimates indicate that Koios will add an additional 2,500 retail locations carrying its products throughout the U.S. in Q2 of 2019. Along with GNC and Walmart, Koios’ healthy and popular products will be distributed in Alfalfa’s, Local Grocery, Tony’s Meats, Go Fresh, and other specialty stores across the country. But the physical locations are only half of the story, as Koios’ digital reach has also increased substantially. GNC and Walmart have added Koios to their digital portfolios, thereby allowing consumers to purchase Koios products from their e-commerce platforms. This boost of exposure and accessibility has already caused a major increase in the online sales of Koios’ products during Q1 of 2019. They haven’t ignored the importance of Amazon, either, as Koios has partnered with established Amazon seller Wishing-U-Well to optimize Koios’ Amazon storefront and approach and thereby keep the company highly competitive. Once the company’s Amazon storefront is launched in May of 2019, customers from all over North America will be able to order any of Koios’ products through Amazon Prime. While the Amazon storefront will be a definite upgrade, Koios will also focus on revamping their own Website by adding a subscription service, which will add greater value to Koios’ core customer base and help generate recurring revenues monthly. The Website will be enhanced and streamlined, allowing for greater volume and revenues, as well as increased efficiencies, margins, customer retention, and attention. Speaking of upgrades, Koios will also be expanding their sales team, and they’re already actively vetting several natural food and beverage brokers. An integral part of the growth process, adding to their sales team will enable Koios to implement new brand launches, drive sales, and boost promotional volume. I’ve got to be honest with you: I feel a sense of pride in how far Chris Miller and Koios have come in such a short span of time. His brain-enhancing, chemical-free beverages and supplements are helping his customers stay healthy and happy – and now, with the tremendous success of his company, he’ll also help investors achieve financial freedom in 2019. This work is based on SEC filings, current events, interviews, corporate press releases and what we’ve learned as financial journalists. It may contain errors and you shouldn’t make any investment decision based solely on what you read here. It’s your money and your responsibility. Never base any decision off of our emails. wealthresearchgroup stock profiles are intended to be stock ideas, not recommendations. The ideas we present are high risk and you can lose your entire investment, we are not stock pickers, market timers, investment advisers, and you should not base any investment decision off our website, emails, videos, or anything we publish. Please do your own research before investing. It is crucial that you at least look at current SEC filings and read the latest press releases. Information contained in this profile was extracted from current documents filed with the SEC, the company web site and other publicly available sources deemed reliable. Never base any investment decision from information contained in our website or emails or any or our publications. Our report is not intended to be, nor should it be construed as an offer to buy or sell, or a solicitation of an offer to buy or sell securities, or as a recommendation to purchase anything. This publication may provide the addresses or contain hyperlinks to websites; we disclaim any responsibility for the content of any such other websites. We have entered into an agreement for three hundred thousand dollars and five hundred thousand options paid for directly by koios beverage. 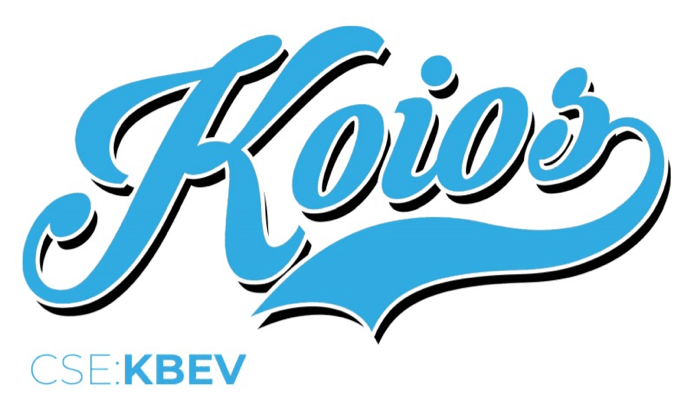 We have also purchased shares and are long koios beverage. Gold Standard Media, owned by the same individuals as Wealth Research Group, has been compensated three hundred thousand dollars directly by Invictus MD for online marketing and public awareness. Please use our site as a place to get ideas. Never make an investment decision off of anything we say. Information contained in this profile was extracted from current documents filed with the SEC, the company web site and other publicly available sources deemed reliable. The information herein is not intended to be personal legal or investment advice and may not be appropriate or applicable for all readers. If personal advice is needed, the services of a qualified legal, investment or tax professional should be sought. AIR RAID: Gold $1,487 Blueprint! Stocks Getting CREAMED: It’s Gold’s TURN!